The Great Yorkshire Show features the best of British farming and is England’s premier agricultural show. 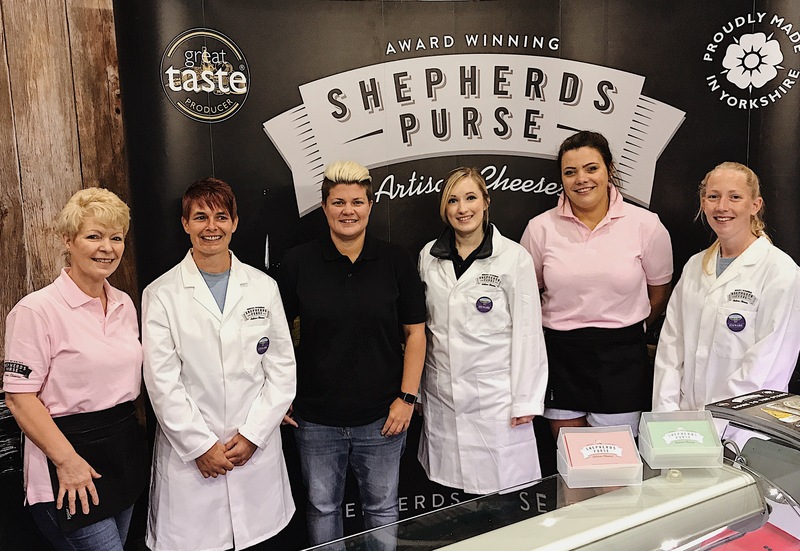 Held at the Great Yorkshire Showground in Harrogate it gives first-hand experience of agriculture and rural life through demonstrations and exhibitions. It is home to the Great Yorkshire Cheese Competition and it is where we launched our company back in 1989. 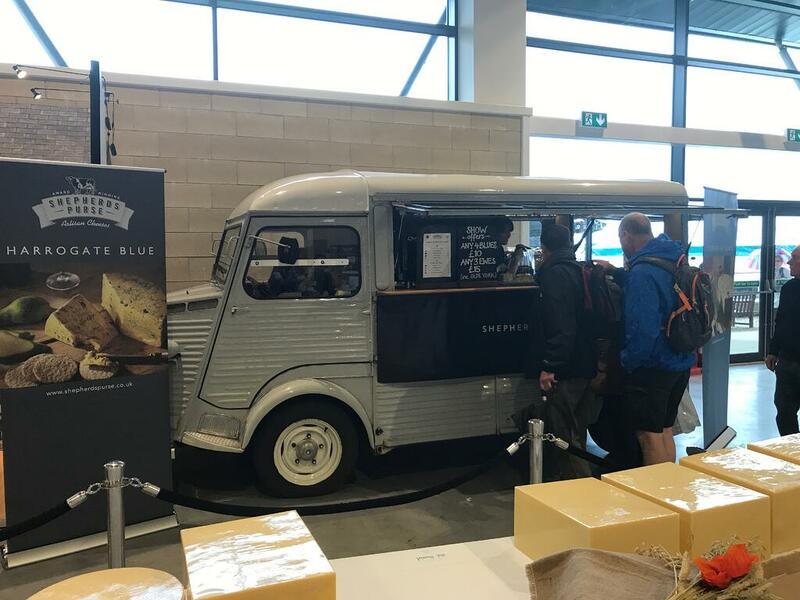 This year, for the third year in a row, we had two stands for visitors to sample and buy our full range of cheeses, and we had cheeses entered into the Great Yorkshire Cheese Competition. 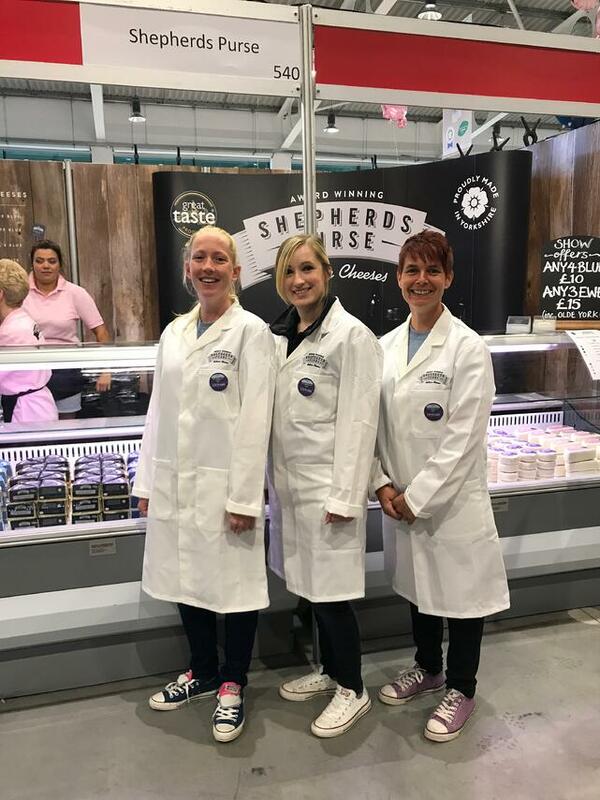 We also had three members of the Shepherds Purse team helping with stewarding in the Cheese competition. Below are Gemma Butcher, Claire Stevens and Kerry Johnson who absolutley loved their experience supporting the judges. The cheese competition ran smoothly with judges commenting on the high quality of entries this year. Other highlights this year were the lovely Jeremy Bowen from Paxton & Whitfield featuring our cheeses on the "Cheese Board Fit For a Queen" and we had a visit from Peter and Julian, our Yorkshire vets from The Yorkshire Vet . Subscribe to stay up to date with the latest happenings. 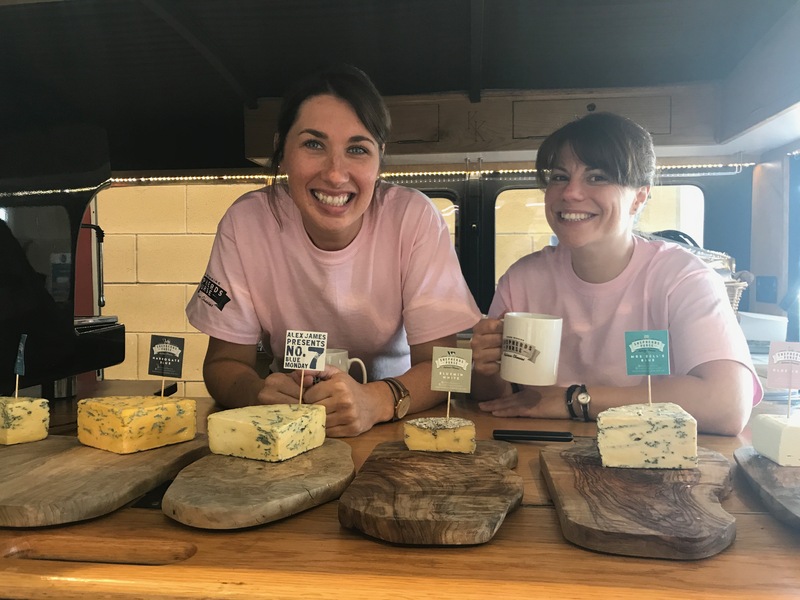 Discover more about our history and what drives us to do what we do, our passion for cheese, farming, food and Yorkshire. © Copyright Shepherds Purse Limited 2013. All rights reserved. Registered in England No. 03321578.